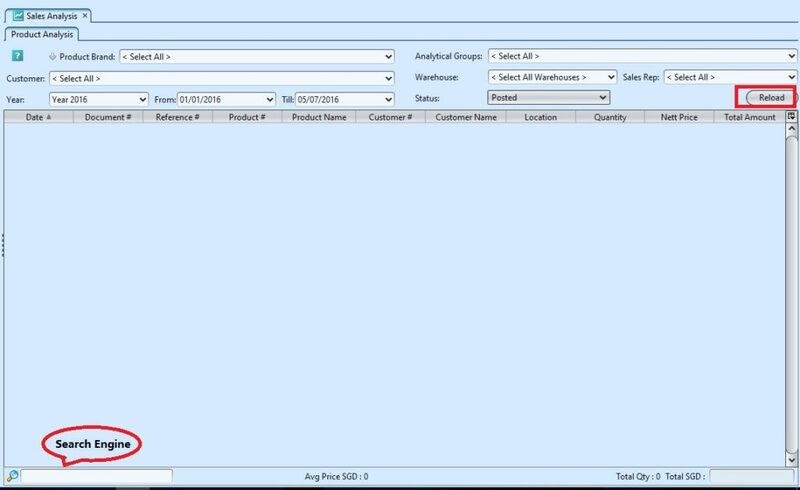 Sales Analysis view allows user to see the summary of products sales analysis in one view. 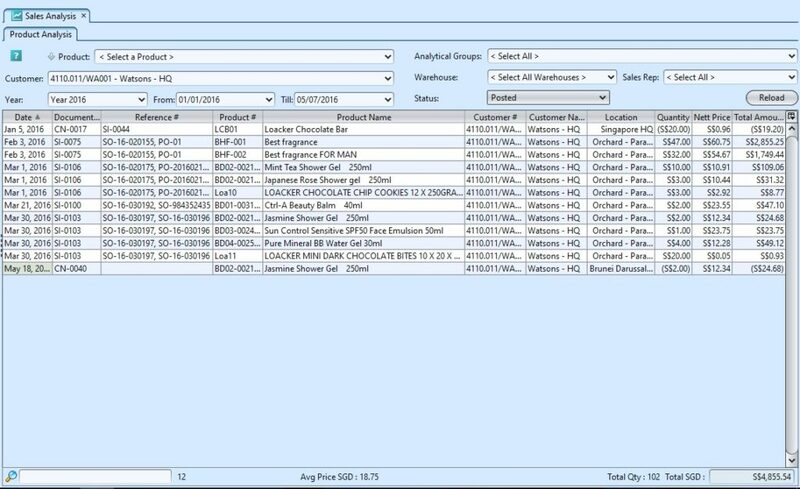 User can also see products performance based on a certain period, a particular customers, warehouse, sales representative, etc. 4. Right click on a product sales document row to open more options. User can select an option to see more details of the selected document, e.g. show sales invoice, show product details, etc.